This touching book based on the true story of the Rogers family and a tiny teddy bear brought tears to my eyes and made my son sad for a family who lost a beloved member. Aileen Rogers, a 10 year old girl who lived on a farm in East Farnham, Quebec in 1915, owned a small stuffed bear named Teddy. When her father, Lawrence, enlisted to go fight in the war in Europe, and his letters reveal that he was cold and tired and missed them terribly while in the trenches, she decided to send him her teddy bear to remind him of home and to keep him safe. 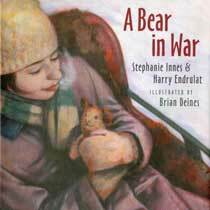 The story is told from the point of view of the teddy bear, and I thought this was well done as a way to gently introduce the concept of war to the child reading it. Aileen's father dies as a medic at the battle of Passchendaele. Teddy was in his front pocket. Teddy was sent back to Canada with Lawrence's personal belongings. Today, Teddy sits in the Canadian War Memorial in Ottawa, Canada. This story opened up a conversation with my son about war. Along with beautiful earth-toned oil painting illustrations the book also includes archival photos and documents of the Rogers family. What's more, the author Stephanie Innes is actually the great-granddaughter of Lawrence, Aileen's father. These photos, along with the fact that the Rogers family lived not far from where we do in our province of Quebec, and the make-up of the family being so similar to ours (a father, mother, 10 year-old sister and 7 year-old brother) truly made this story all the more real. We could relate to this family and feel their sorrow at their loss. 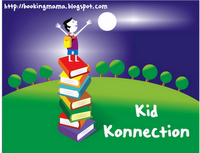 This is a beautiful story and a beautifully illustrated book, with heartwarming moments of family time and love. It made me and my children want to pray all the more that soon all wars all over the earth come to an everlasting end. Disclosure: Thanks Erin Woods from Pajama Press for sending us this book for review. We were not compensated in any other way, nor told how to rate or review this product.